When we were kids, colour pencils, crayons and drawing were a everyday part of our life. We were drawing everything around, when our parents or grandparents gave us pencils and paper, sometimes for a needed rest from us. Maybe during those moments some of us made the decision about becoming an artist, a designer or a graphic designer. Ok, that is not my case, as I am working for Evocreative as Account Manager. I am the one who manage the projects and talks to the clients and to our creative team with the aim to keep everyone from going crazy. There are other guys (and girls) at our office that have decided to devote their lives to the glorious trade of graphic arts. In the years that I have been working with designers, I have watched them work and learned the process used to develop a logo. It was nice to see that even with the using of the latest graphic design programs, usually it all starts with pencils and papers… As when we were kids. This is my favourite part of the process – Pure creativity at its best! I am always impressed how designers can, from a few adjectives given by client, come up with something like …well, check our portfolio to give you an idea. “Our logo should be perceived as professional, modern, luxury and it should be easy to remember with the preference of raspberry colour”. That´s it! This is how the new logo of the Giftisimo company should be, according to the client. Modern, professional, luxurious? With such general words, how can one create a logo based on this? This question I hear pretty often from the clients interested in having new or updated logo. My answer is simple. I don’t know how this is possible, but while for us, normal non-creative people, the adjectives above are just words, for graphic designers it is something more. They know exactly what to do with the requirements and because they are sitting just next to me at the office and I watch the process, I know I am right. Sometimes the clients have very specific preferences (a colour preference or symbol that they would like to include) or even an exact vision of how the logo should look, but sometimes they have nothing. You are a creative agency, we want to see your ideas, they say. Definitely this is a bigger challenge for us, but for some designers, this is even a better situation because they can think about everything on their own, without being influenced by some conditions. 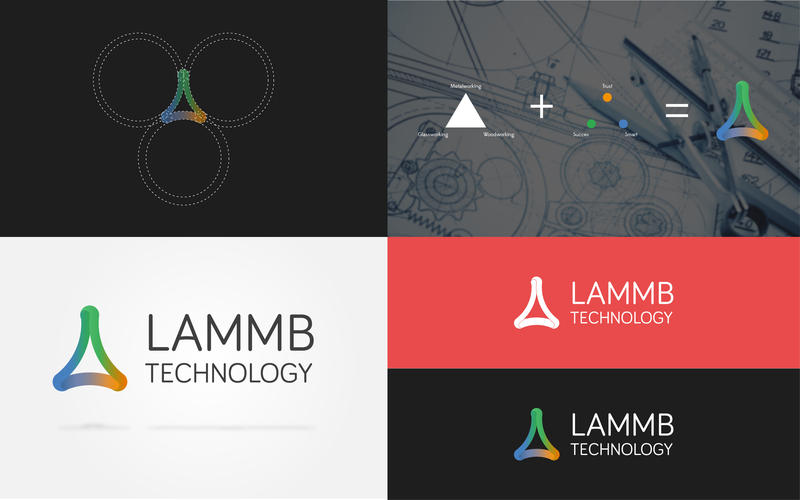 “For me, to create a logo you need to understand the company and its sector well. It is a combination of what the company is, what they offer, what they want to show in terms of emotion. After, it is only the idea that can make it unique”, says Louis, our graphic designer from France. After we present to the client several options for their new logo, we work on the second step, which is the rounds of corrections of the selected logo. It might sound like a more boring part, but believe me, it is not at all. It is very playfull actually because it is nice to see how a subtle adjustment, for example different shade of colour or different font, can change the overall look and the perception in the intended viewer. “I believe that the font should be as simple as possible without the disturbing elements as curlicues or with too many colours“ says Klára, another creative mind at our office. But the best feeling for all of us comes when the logo is finally put to use. Seeing our logo designs on business cards that are being handed out, on decals on a shop window to get the bypassers attention or on T-shirts for the company staff to proudly showcase their new image, is what makes us come to work everyday. What is then my recommendation to everyone, who is thinking about creating a new logo or having a logo redesign? Do not be shy about sharing your ideas and imagination on how you would like to see your logo, but at the same time, please remember that you’re hiring professionals to work on it, so let them do their work… They know what they are doing, just like surgeons know how to do their surgery.